There’s an exciting new way to explore and discover local coffee in Indianapolis that isn’t inside a coffee shop or on the Indianapolis Coffee Guide (wink). 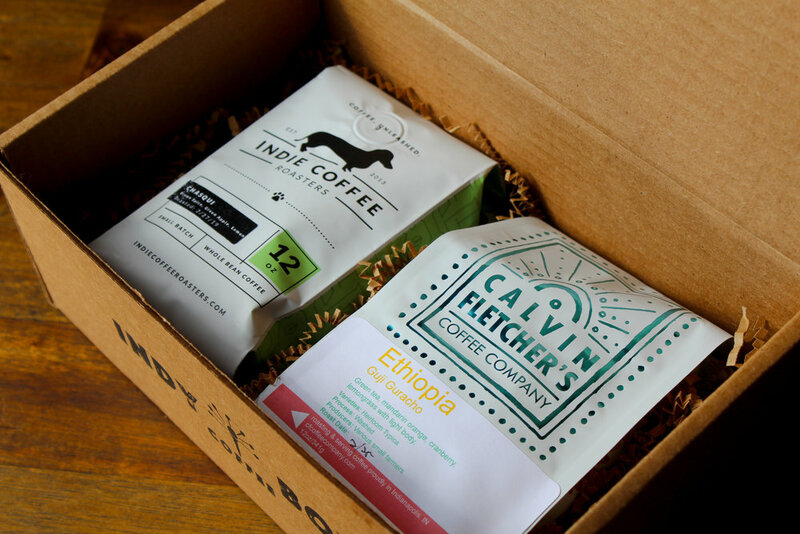 Entering the ring: Indy Coffee Box. 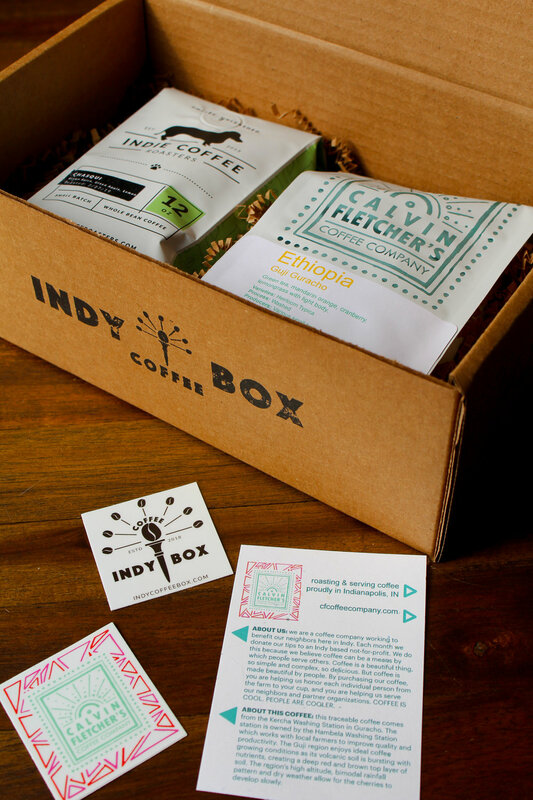 Indy Coffee Box is a LOCAL company founded by an amazing local couple. They’ve partnered with amazing LOCAL roasters to deliver freshly roasted coffee directly to us. 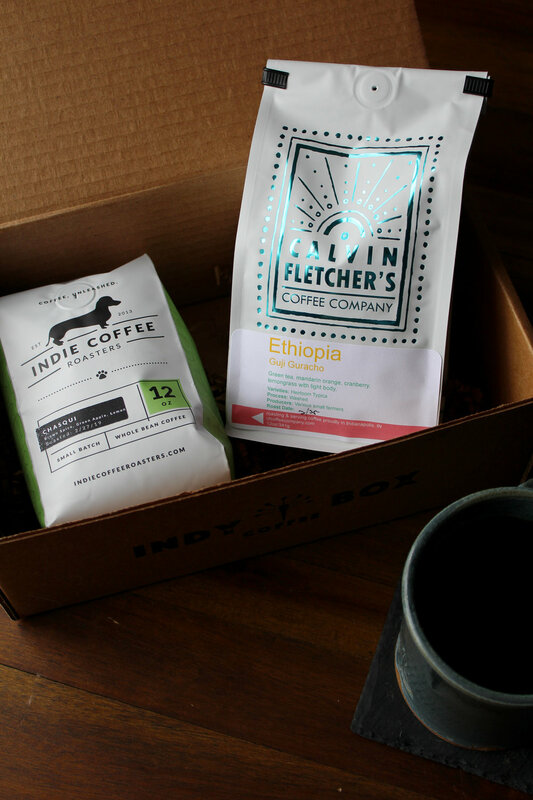 Supporting Indy Coffee Box means we’re supporting many amazing local businesses, AND we get to explore and discover the best locally roasted coffee that Indianapolis has to offer. And all we have to do is sign up online. I do my best to only drink locally roasted coffee, and I do a pretty good job of sticking to that. But it isn’t always easy to make that happen. I live in Carmel, I have a full-time job, and most coffee shops close pretty early. So I don’t always have the time to hunt down fresh local coffee. And when I do, I get into a habit of only buying the beans I have easy access to. Now with Indy Coffee Box, it’s just one less thing I have to worry about. AND I get to try amazing new roasters all the time. So listen. This is not a paid promotion. This is not sponsored content. This is not an ad. This is me being excited for us that Indy Coffee Box is here to answer our coffee prayers. And because Poppe and Zach love the Coffee Guide and it’s readers, they are offering us a discount on our first coffee box. When you checkout, enter the rebate code “GUIDEME” for $5 OFF your first single-bag box or $7 OFF your first double box. I’ve gotten the double box for the last few months, and it is the perfect amount of coffee for me. And if/when I have too many bags of coffee (is that even a real thing? ), I gift the extra. Because there’s no better way to say ‘I love you’ or ‘I appreciate you’ than with fresh local coffee. Just ask Poppe and Zach. 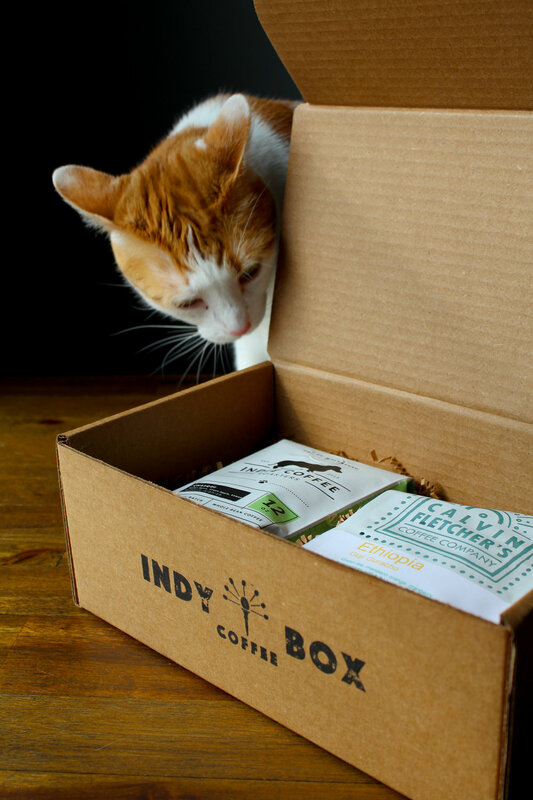 The Indy Coffee Box is just them saying ‘I appreciate you’ to the amazing local coffee scene in Indianapolis. And as always, make sure to follow @indianapoliscoffee on Instagram for all things Indianapolis coffee and tag us in your photos to be featured.